Swedish developer of contactless readers and products, Arcontia, is supplying handheld readers to Dutch Railways for use in the nationwide contactless ticketing project known as OV-chipkaart. The PDA and Arcontia contactless smart card reader gives the conductor a mobile solution to validate electronic tickets on board the train. 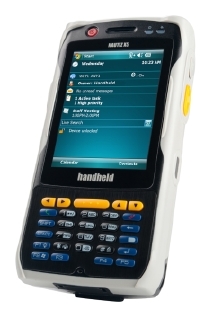 More than 10,000 iPAQ PDA’s from Hewlett Packard will be used with 6000 of the units equipped with the compact flash smart card reader. 6000 contactless smart card readers for the new on-board electronic ticketing system will be the new equipment for train conductors in the Netherlands. The Dutch company Vialis Public Transport BV and Arcontia have been cooperating since the autumn 2006 regarding the implementation of the electronic ticketing issue in the MCL project for the Dutch Railways (NS). The MCL project is an important sub-project in the overall OV-chipkaart project; introducing electronic ticketing for the Dutch PTO’s NS (Dutch Railways), Connexxion, GVB (Amsterdam), HTM (The Hague) and RET (Rotterdam). When NS starts the new e-ticketing solution, they are dependent on the smart card reader to validate tickets on board the train. The combination of the PDA and contactless smart card reader gives the conductor the possibility to validate electronic tickets in a user friendly, secure and fast way. Bettina Haarbosch for NS, Head of the Department Communication Solutions – Production Services says; “NS and Arcontia developed a smart and lean working equipment for the daily operation at 4500 trains and 377 stations. We had the ambition to integrate the contactless smart card reader in our unique Railpocket. Together with Arcontia and Vialis we created the MCL as a click-on hardware unit at the Railpocket”. Arcontia has been active in the RFID technology since 1996 and is today a developer of a comprehensive range of contactless smart card readers and terminals, complying with ISO14443 A/B and MIFARE standards. The product range addresses e-ticketing and e-government markets as well as the supply chain management and logistics market. Local office is based in Gothenburg, Sweden.